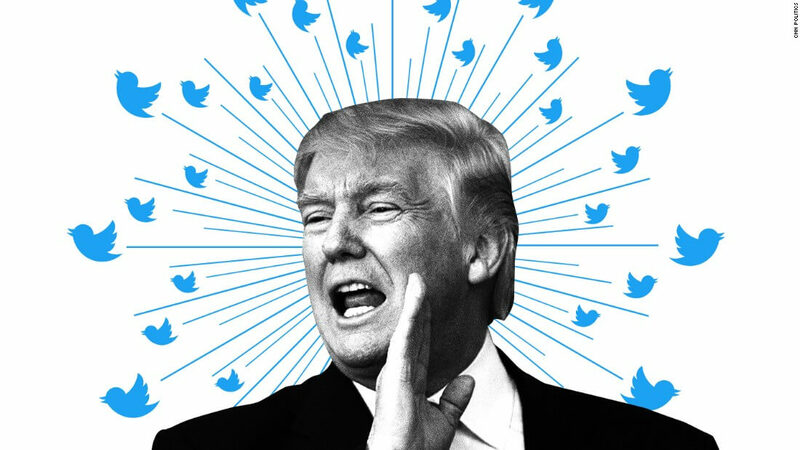 President Trump, known for his high profile and often incoherent Twitter ramblings, is now facing backlash from a free speech institute after he blocked a number of accounts that were critical of him. The @realDonaldTrump account has seen countless comment wars between Trump supporters and critics over his tweets and policies. According to the Knight First Amendment Institute at New York's Columbia University, blocking users violates the First Amendment's freedom of speech clause. The group sent a letter to President Trump on Tuesday demanding he unblock the accounts in question. As a basis for their argument, the Institute is using previous cases based on other politicians blocking users on Facebook. They have compared Twitter comments to the digital form of a traditional town hall. Kicking people out who don't agree with your viewpoint undermines the fundamentals of democracy. If they choose to pursue legal action against the Tweeter-In-Chief, Trump could claim the account is for personal use only as opposed to the @POTUS official account. The Institute said it would go after both accounts with "equal force." Some of Trump's tweets have caused widespread criticism and in some cases, from both sides of the isle. There are rumors that White House officials have recommended he tone them down since some tweets may have legal ramifications. Recent tweets on his travel ban may affect his defense in court as well as overall policy. Leftists: These tweets are so offensive! The lesson here: Never attempt to appease anyone to the left of right. They are dishonest, disingenuous, and dastardly. They are also very, very special. Reehahs, stewi0001, Agnomen and 7 others like this. Block terrorists so they terrorise less... that is the goal. Get your head out of your ***! Oh for christ sakes........getting sued for blocking someone on twitter? whats next suing the grocery store for for having too fresh of bananas? I don't want to live on this planet anymore. Reehahs, psycros, Kotters and 2 others like this. I don't have twitter. But if I did and didn't like what someone said on my page, I'd block them as well. For one thing the page would be about me and what I think not every one else. psycros, Kotters, Kenrick and 1 other person like this. So many people don't realize what free speech is. You may have free speech, but I am under no obligation to hear you. Tanstar, stewi0001, Nobina and 3 others like this. Or let you speak through my channel. Same thing for TechSpot (as much as I hate to admitting it), they are not obligated in hearing what we have to say. Tanstar and psycros like this. Considering the quality of Trump tweets (or lack there of) I'm surprised that anyone even bothers to listen any longer. The "fake news" does a pretty good job picking out the more interesting ones and reporting them ... why bother with the rest? yep. something youd think people would realize 5 seconds after they learn about the first amendment. Love the trump tech news for the past few days. Why not also post justin bieber when he blocked me when I asked him what is the size of his shoes. Because it's a platform for exposure. The verified accounts that are complaining are the ones that would use his tweets to gain attention. Trump's tweets are absurdly popular, and it's quite easy to get the top reply by bitching about it in one way or another. When you're blocked, you can't respond to them with your primary, verified account. You can read them and respond to them. But you can't use your face and checkmark while doing it, and that's why they're losing their ****. Reehahs, psycros and davislane1 like this. Bingo. It has nothing to do with freedom of speech and everything to do with bigger social media stats. Normal media musings attract normal media musing hits. Starting threads based on Trump tweets gets viral exposure. Kotters and psycros like this. If anyone finds Trump's tweets "incoherent" then I would suggest they take a remedial reading course. The Donald keeps his mass communications at about a sixth grade level. And a sixth grader could tell you that yet another group of i_diots trying to sue a social network into granting them special privileges will go about as well as the previous attempts. This article was about Trump blocking people on twitter, not about the coherency of his tweets. You can berate these people but it's not entirely clear cut how the law pertains to this new technology. I think this discussion needs more covfefe. Imagine how mentally ill you have to be to think that president of the US hasn't got the right to block you on Twitter. So did he block them from his own site or twitter in general? If he just blocked people from his private messaging board then I'm OK with it. I mean if you manage loads of forums and got to become president, does that mean that none of those forums could be moderated after that as you couldn't kick misbehaving people? If its someone else's message board and he banned people I would get it but it's not like the law requires the president to keep online service to get ridiculed on. The guy is a joke but this makes no sense. Those blocked can count themselves lucky. If I were in charge I'd have their vocal cords removed as well as their fingers... without anesthetic. Am I mistaken or is the @realDonaldTrump account is his personal account to do with as he pleases (even if it has far reaching ramifications) as opposed to the @POTUS official account with which he tweets as a representative of the citizens of the United States. If so, why do you care if he blocks people he doesn't want appearing on his posts? More importantly, what's it to you? If someone was posting unfavorable/undesirable (to you) tweets on your Twitter stream, you can block them, right? I do believe he should wait, at least an hour, before posting what's on his mind at the moment. That moment of reflection would save both him and the American people a lot of...consternation. On the other hand, if the ultimate goal is to stay at the top of the popular news heap (ala marketing 101, all press is good press), then all of his detractors are falling for it hook, line and sinker. Just my 2 cents. As much as I hate the Cheeto in office I could care less if he's blocking users on twitter. "both sides of the isle"
The sort of finger trouble a spell checker will never find but a good subeditor should. "after he blocked a number of accounts that were critical of him." Ok, I'm confused. My reading of the article was that Trump had somehow blocked users' Twitter accounts - which should be impossible and not what I would expect Twitter to allow. But from the comments it's more likely that he blocked users from posting comments on his account - which is fine, we should all have the right to mute/block Aholes from trashing our personal accounts. So, which is it? It's the second. They are saying that because he is an elected, public official they shouldn't be blocked. It's a dumb argument.